Fortnite received updated v8.11 on March 20 which introduced the Flint-Knock pistol along with welcoming back Impulse grenades, but players have been effected by numerous bugs that have been impacting their game play. Fans have been posting clips on the FortniteBR subreddit displaying different bugs that have been impacting their game since March 20’s v8.11 update. A clip by Ben ‘DrLupo’ Lupo was up to over 6,000 views, which showed off a glitch in the game where the player will skip frames, seemingly jumping forward in time. Epic Games Community Coordinator MrPopoTFS posted a list on the FortniteBR subreddit of upcoming changes that might be arriving in Fortnite with the v8.20 patch. 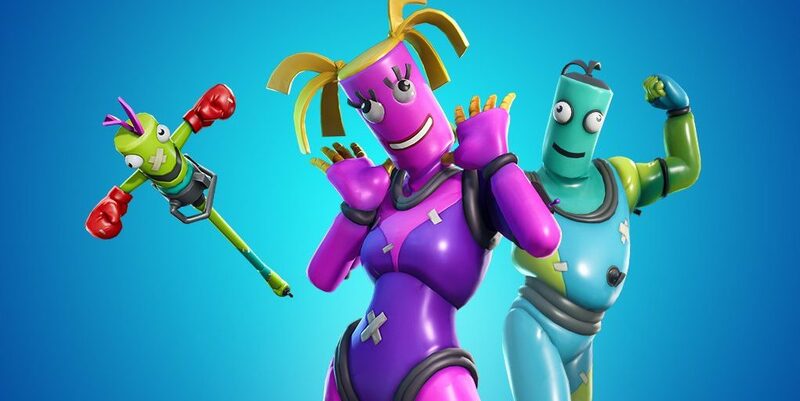 Epic has several changes planned specifically for weapons and items in Fortnite with patch v8.20, including the annoying bug that would deal damage to players through walls with clingers when stuck to another player. They will also be planning changes to The Baller, specifically when traps would damage players rather then the vehicle. Epic Games Community Coordinator posted a list of potential changes coming to Fortnite with patch v8.20. Players also reported that scope reticle lines would not load properly when playing on low settings, and Epic is currently searching for a fix. One of the biggest changes will be a fix for the bug that would change player’s fill preference to “fill”, which would coincidentally pair them with other queued players. It is important to note that even though Epic has a ton of changes planned for v8.20, there are no promises. 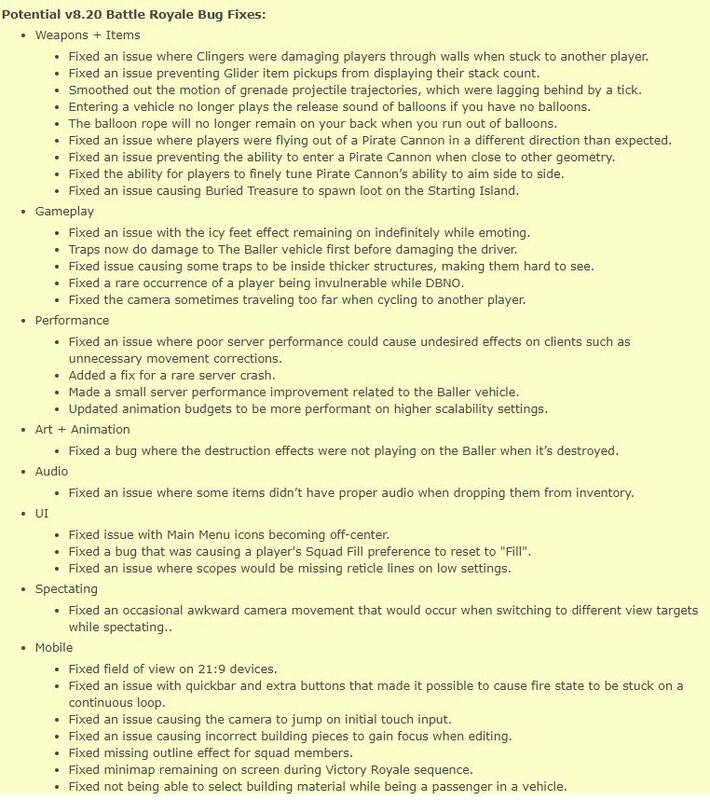 The only way to confirm changes in Fortnite are through the official patch notes that Epic releases each update. Fortnite has seen several new additions with Season 8 including volcanoes, a pirate ship, The Baller vehicle, and more. What has been your favorite part of Season 8 of Fortnite so far?